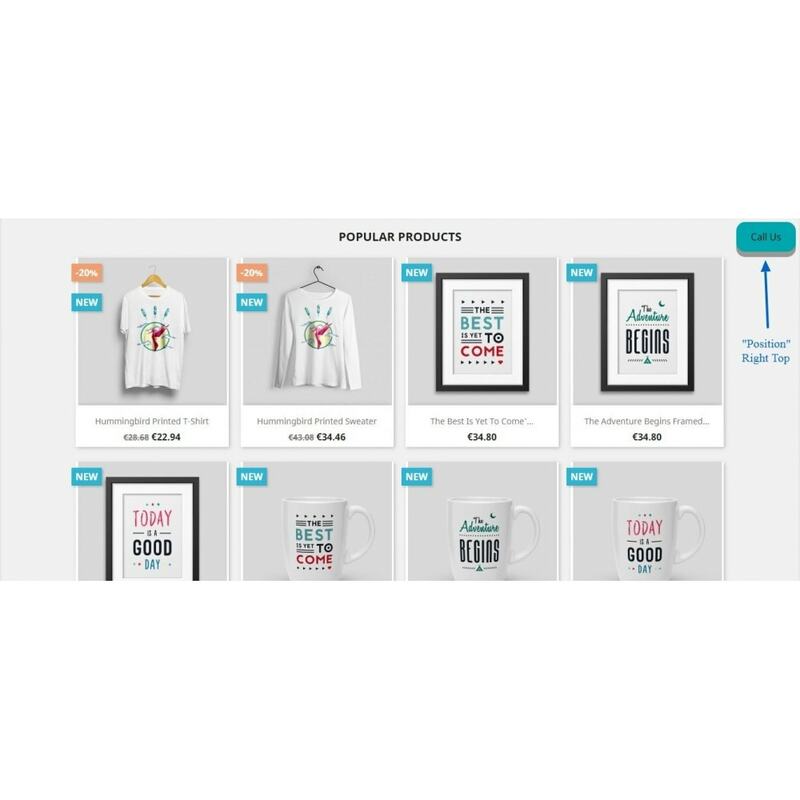 Increase sales as per number of query respond. 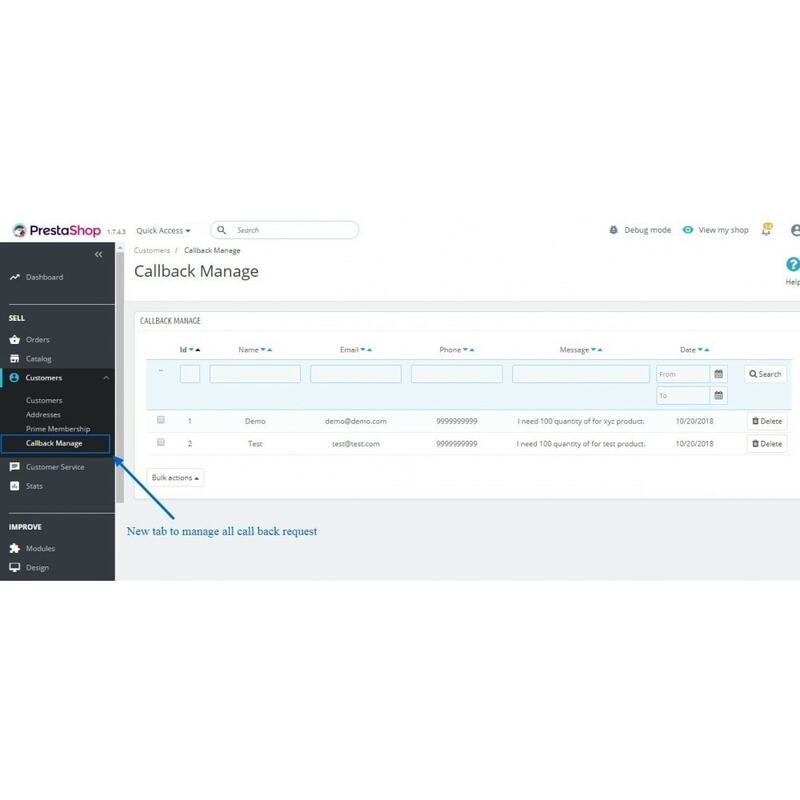 Easy to manage all call back request. 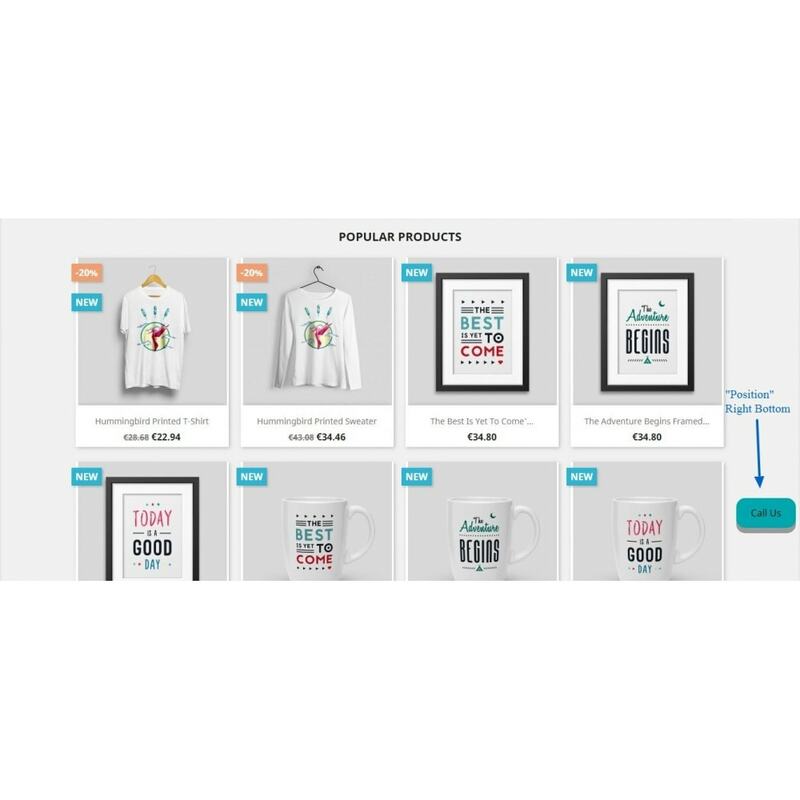 Email notification when customer get query about product. 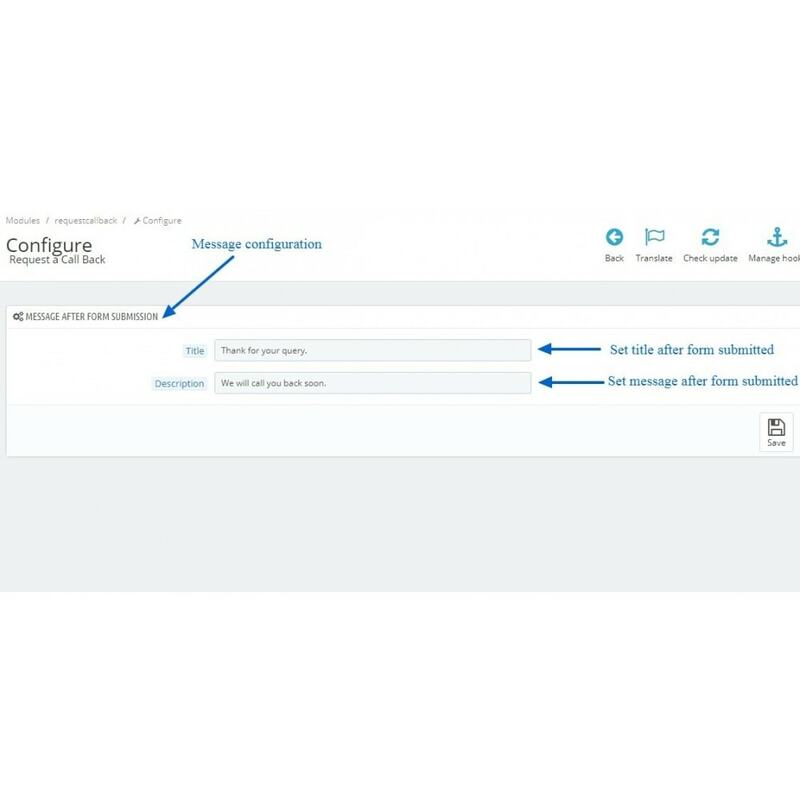 Configure notification setting via email. Set position of button either left top corner, right top corner, bottom left corner and bottom right corner. 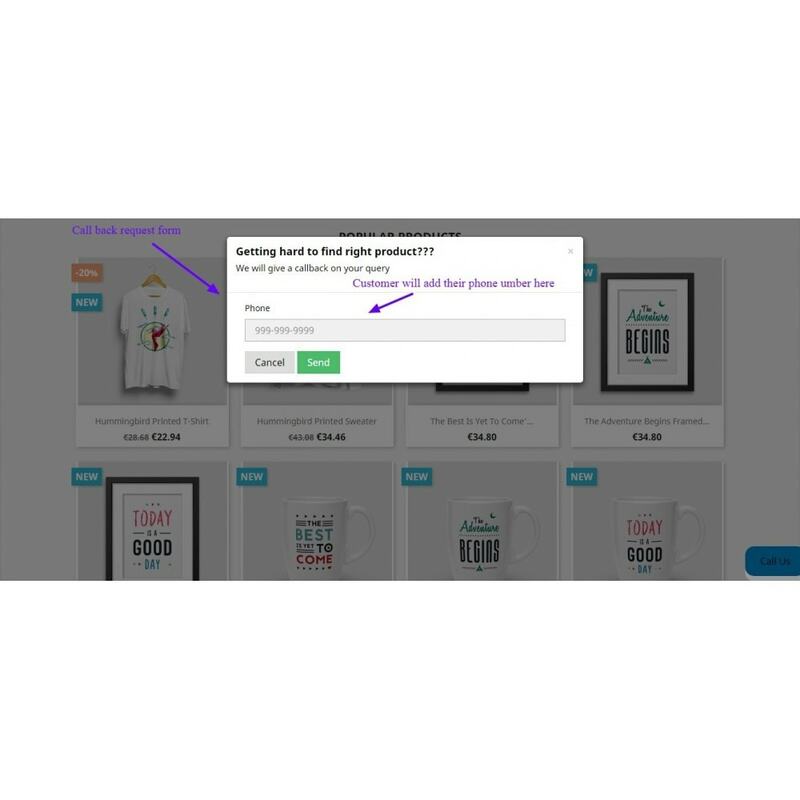 Set message to display when customer submit callback form. 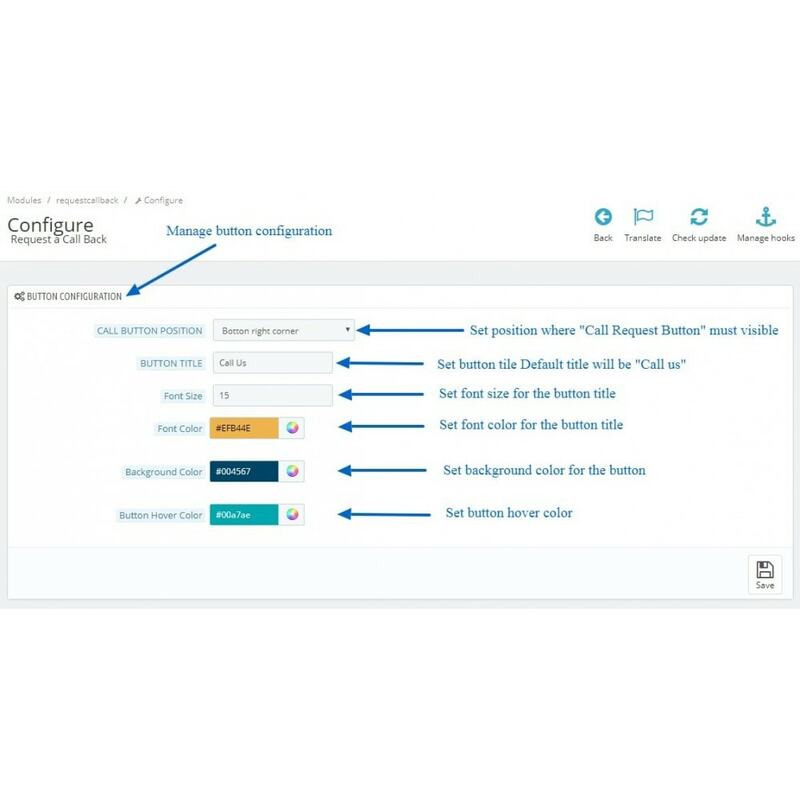 Set description to display when customer submit callback form. 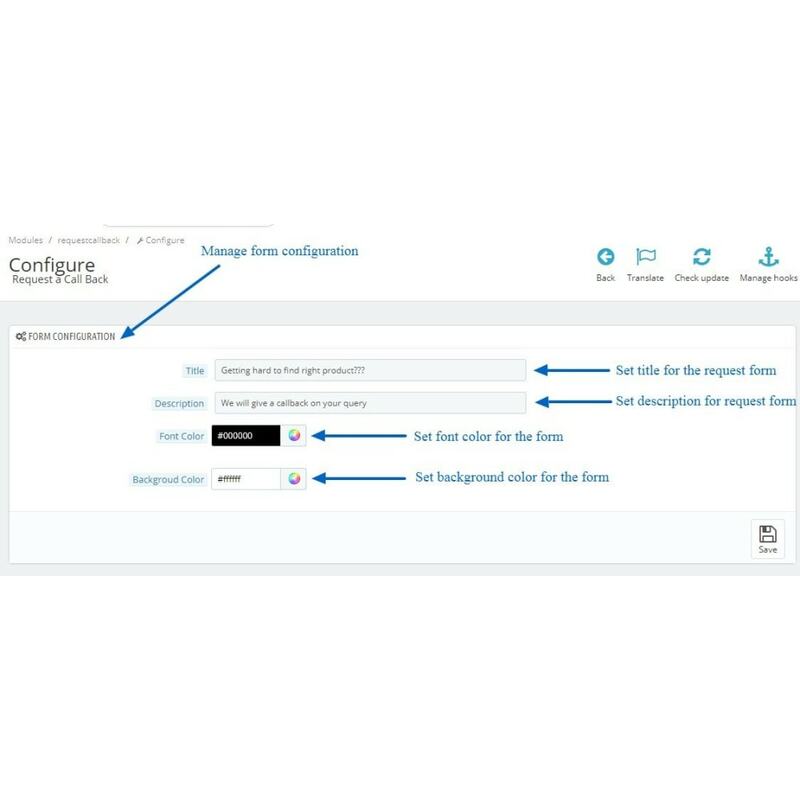 Set name field, email field, and message field in callback form. Customer can clear their doubt by requesting callback request. Customer can get more detailed information by website manager. Customer can ask multiple time by submitting callback form. 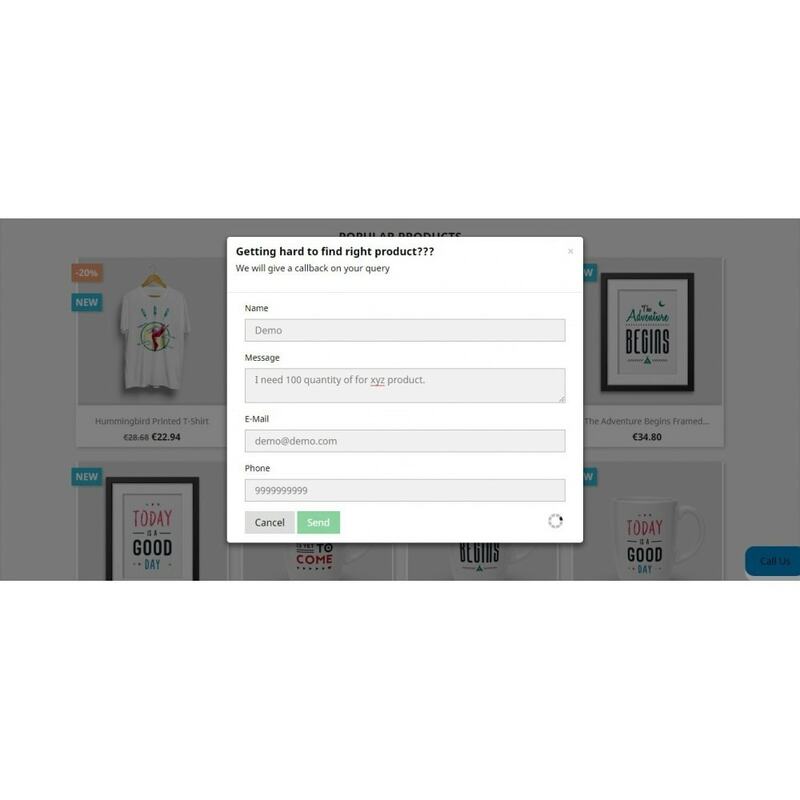 Customer can fill their email address to get response by email. 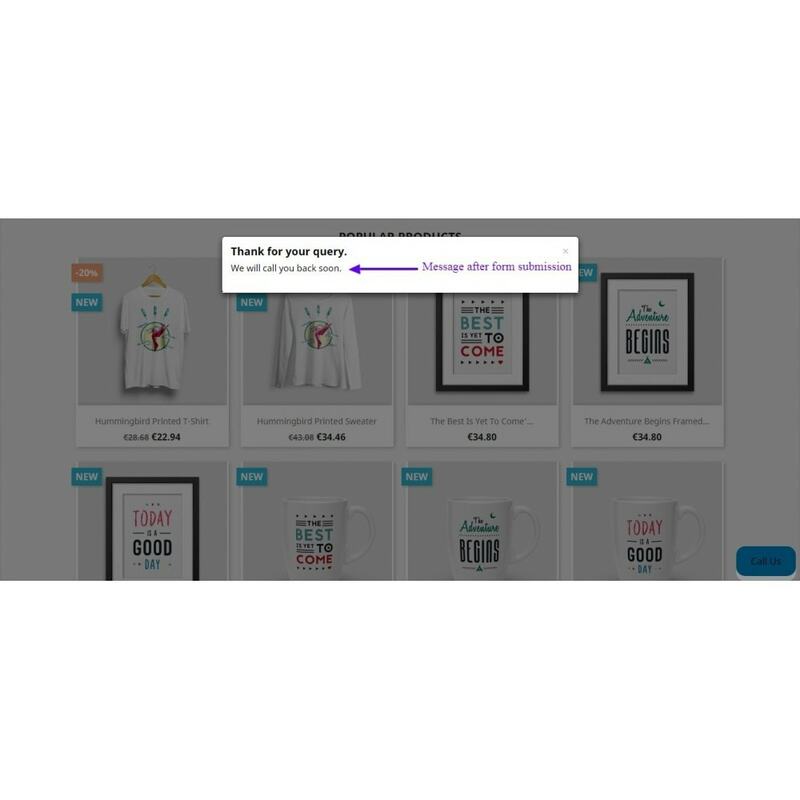 Customer can communicate website manager directly. Step : 1 Upload the requestcallback.zip and install it. 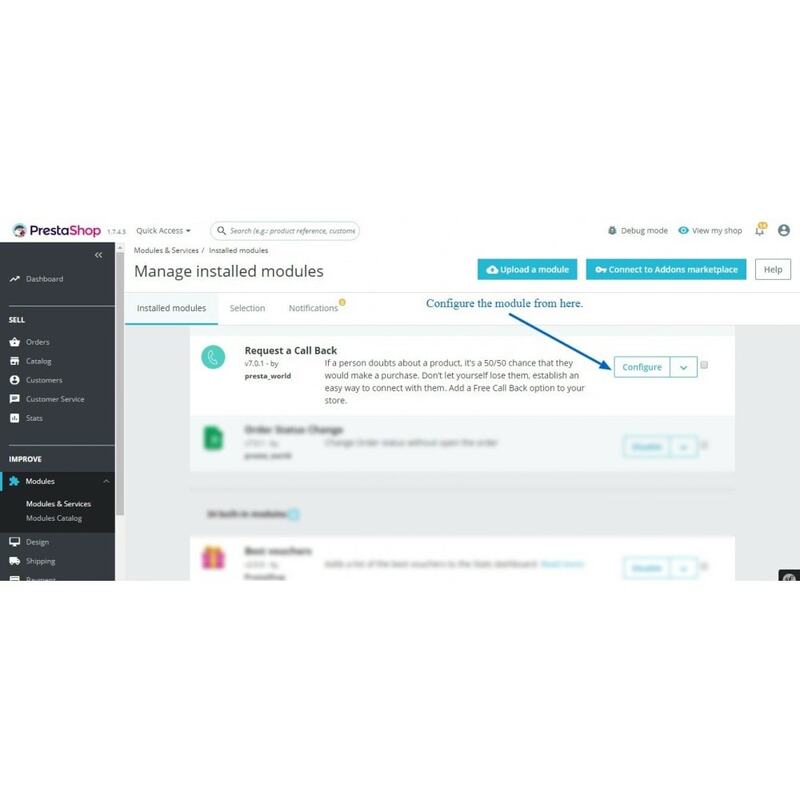 Step : 2 Configure the module as per best setting suits your website theme. Setp : 3 Set title and description in your own language to show on callback form. Step : 4 Set the position of the button to display in front end.